The primary goal of the subreddit is to be a place for good, quality discussion about the Edmonton Oilers. All the rules and guidelines are aimed to ensure a smart, civil and fun environment for Oilers fans to talk about the team we love. The first and most important rule of all. Recognize that we're all on the same side here and that even the craziest ideas should be respected. Personal insults, racist/sexist/homophobic slurs, trolling or behaviour that is abusive in any way will not tolerated and will result in a ban. Good discussion includes disagreement, please respect others and do not downvote just because you don't like an opinion. Team subs should be for team fans. Users who go to rival team subs for the purpose to antagonize not only makes the rest of us look bad, it also invites retribution. While outside fans are welcome as long as they follow the rules and are civil, any goading, irritations or attempt to incite anger from outside users should simply be reported and not distinguished with a reaction. With instances of harassment/trolling, violations will result in a ban along with a possible report made to the Reddit administrators. Good discussion is premised on quality content. Please ask yourself before submitting: "Does this post generate good discussion?" If you think the answer might be no then please refrain from posting. With the above, please use good titles - posts that exhibit bias or use unnecessary punctuation to editorialize and gain extra attention will be removed (e.g. : "Awesome video! ", "I hate it when this happens", etc.). Memes, jokes and general shitposts (e.g. : MFW, DAE) are not allowed at the post level. Please post them as a comment in any of our daily threads (Game Day Talk, The Morning After, Off Day Talk, Free Talk Friday, etc). Photos of your new jersey, memorabilia, view of the game, random Puljujarvi sighting at WEM, etc. are not post worthy. If you want to share please do so in GDT/TMA/ODT/FTFs. This includes questions like "which bar can I watch the game? ", "whose jersey should I buy? ", "where is there to park at Rogers Place?" along with easily searchable questions that mostly serve to benefit you as an individual and not the community. Please ask your question in a daily thread. We have an FAQ with content from the community that should answer any query you might have about following the team or attending a game. This includes blogspam and anything that could be considered self-promotional (meaning something that you might profit from directly). Here is the official reddit position on self-promotion. As well, as reddit is a forum for discussion, posts that advertise the selling of anything are also prohibited. Basically no posts that contain unsubstantiated talk of a trade or signing. Reports must come from a reliable source. If you have a question about the sub or have any ideas you wish to share please ask us first in modmail. The spam filter has a mind of it's own. If you've submitted a post that you don't believe has broken any rules and isn't appearing in the New queue, please message the moderators and we will retrieve it for you. The threads listed below are always heavily trafficked and operate as clearinghouses of discussion. To prevent the unnecessary spreading of conversation, please avoid posting duplicate content and submitting individual opinions (when they relate to a game) as posts. These daily threads are designed for general Oilers discussion. Any and all observations, opinions, questions, shitposts, memes, and other random nonsense are welcome. GDTs are posted the morning of a game. All content related to the game (such as lines and the opposition) should be posted there. To encourage continuing discussion, threads will be organized in New (we also highly encourage everyone to participate in the GDTs at r/hockey). Please refrain from posting general developments/observations related to the game as individual threads. Minor events such as "Nurse just went to the dressing room in the second period" or "Why did Talbot play the puck like that?" do not deserve their own thread and simply distract from the GDTs. PGTs will be posted by mods immediately following each game. Please share your observations/opinions related to the game in these threads and refrain from posting your hot take as an individual thread. PGTs are by far our most popular and heavily trafficked feature so any comment is guaranteed to see action. TMAs are a pendant to the PGTs to discuss the game the following day. These are scheduled on days following games. ODT threads serve the identical function to TMAs on extra days where games are not scheduled. League Musings Monday is where you should post any opinions you have about the rest of the league. Free Talk Friday is a weekend thread for general, non-Oilers conversation. Bans will be applied judiciously while being enforced in multiple stages. If users violate any of the sub rules/guidelines both listed in the sidebar and explicated in detail above, bans will be issued. Please note that first time offenders will be suspended for up to 7 days, a second offence for 15 days, and a third will be permanent. The first and second temporary bans constitutes as a warning. Also note that in severe cases first offenses may result in an immediate and permanent ban. Frequently asked questions from both locals looking for information and visitors going to a game at Rogers Place can be viewed here. 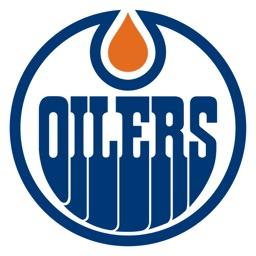 An index of of Oilerscentric jokes and references for both old and new Oilers fans who want to prove their team bonafides in a pub or GDT - a living document of the Oilers jokes that refuse to die. The following are links to original content generated by users that represent the best of /r/EdmontonOilers. Oilumni is a series of special threads written by members of /r/EdmontonOilers that feature individual retrospectives of a range of Oiler alumni from the past. The following is a list of AMA (Ask Me Anything) threads done with prominent members of the Oilogosphere.